The Lost Vape DNA Go was one of the most popular pod systems of 2018 mainly because of its versatility and performance. I mean come on now, Lost Vape made a pod vape that included a DNA chip; how could it not be good? You could adjust your wattage settings using Escribe, had access to Replay Mode and it delivered flavor that was absolutely poppin’ for a pod vape. There was a lot to love. However, while the customization options were great, the price point was not. 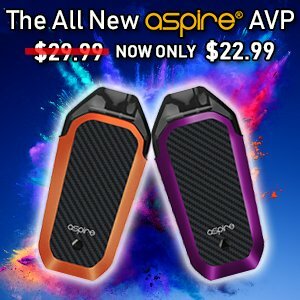 Over $60 for a pod vape was a bit more than most people were willing to pay, regardless of the features or performance. 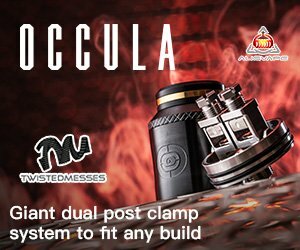 Now, Lost Vape have released the Orion Q. The Orion Q is almost identical to the DNA Go but with two main differences: no DNA chip and it’s less than half the price. For those who may have been deterred by the DNA Go’s high price tag, the Orion Q is definitely worth checking out. In this Orion Q review I’m going to go over everything that you need to know. I’ll go over it’s performance, flavor, cloud production and any other little tidbits of information that might be useful. From the outside, the Orion DNA Go and Orion Q are virtually identical; the only difference is the branding on the top of the device. ‘Lost Vape’ is written on the DNA Go, whereas the Orion Q has ‘Lost Vape Quest’ written instead. It’s an extremely minor difference that isn’t even noticeable unless you know what you’re looking for. And if you don’t know about the DNA Go, no worries. I’ll spare you the further details and focus on the Orion Q in this review. The Orion Q uses Lost Vapes in-house chip set and it will fire at up to 17W when fully charged. It packs a pretty large 950mAh battery and this is quite impressive when you consider the Orion Q’s super tiny size. The pods for the Orion Q are 1.0ohm and have a 2ml max capacity. These pods have an adjustable airflow ring that can be used for either DTL or, to a certain extent, MTL. At the moment these pods are the only pods available for the Orion Q and aren’t cross-compatible with the DNA Go. The Lost Vape Orion Q can be purchased either by itself or as a kit. The kit comes with one 1.0ohm pod, while the device by itself does not include any pods. I suggest purchasing the kit as well as some pods to go with it. The Orion Q is an extremely solid and well-built pod vape. It’s constructed of stainless steel and the build quality is superb, as I’ve come to expect from Lost Vape. The device is also very well machined. With the pod installed the Orion Q is a little weighty in your hand but it’s still small and light enough to slip into a pocket. The 950mAh battery is part of the reason for this weight but I think that it’s worth it. I found the Orion Q to still be very comfortable to hold and use. I chose the Rainbow color with black weave panel for my device but there are many other color & panel options available. The matching panels are perhaps the nicest options with the Aurora & Rainbow being two of my favorites. But the black weave gives the device a classy and more reserved aesthetic that I particularly like. The Orion Q uses a unique track-system for installing and securing the pods. You have to insert the pod back-end first (the mouthpiece end), opposite the vertical track. Now push down on the fill-cap until you hear a click. Simple. To remove the pod, there’s a release switch on the side of the device. Just below the release switch is a single large firing button. It’s round and takes just the right amount of pressure to activate. I have no complaints. I’ve dropped my Orion Q a few times and it’s survived better than expected. Most recently, I forgot that it was on my lap and dropped it coming out of my car onto the cold, hard pavement. I was scared to even look. But I picked it up and it was totally fine, minus a few little dings and scratches. Maybe I should have used the lanyard after all. On the bottom of one side of the device is a Micro-USB port for charging. There are also some air holes in the bottom of the device to help keep the battery cool. As previously mentioned, the pods for the Orion Q are 1.0ohm and will hold a maximum of 2ml of ejuice. This is the average size for most pod devices and combined with the 1.0ohm resistance at 17W, your ejuice lasts a pretty long time. Each pod also lasts for a decent amount of time. So far, I’ve used three pods in total and each one got me about a week and a half of heavy use (refilling 1-2 times per day). These pods are really well-made and nearly identical to each other; I would say that Lost Vapes quality control is very good. The pods click into place and fit snug on the device with barely any wiggle, unless you really try. The track holds it in place very securely. To fill the pod there’s a threaded fill cap that you have to unscrew. There’s a rubber seal on the underside of the cap to prevent leaking and it does its job well. Once the cap is off, there’s a large fill port that will accommodate any size bottle nozzle or dropper. However, I’d be careful when filling the pod for the first time. With my first two pods, I filled the ejuice way above the cotton and it ended up flooding the coil. This made it pretty unpleasant to vape for a little as it was gurgling like crazy. The trick when filling the Orion Q is to fill it just to the top of the cotton wad. This will allow the cotton to saturate without flooding. And while we’re speaking about the cotton, there is a lot of cotton in the pods. This meant that it took forever for my cotton to saturate and it took longer than normal for the flavor to really break-in. I highly recommend filling the pod and waiting 15-20 minutes before vaping so that you don’t burn the pod. I sincerely hope that Lost Vape reduce the amount of cotton in future Orion Q pods. It would make using a new pod much easier & better. The pods are tinted quite dark and this can make it a little difficult to see your ejuice level, but holding the pod up to the light makes it a lot easier. Because the pods are filled from the top, I experienced absolutely no leaking. The pods are completely closed off otherwise so there’s no where for the juice to leak. The airflow is built into the mouthpiece on the Orion Q pods. There are two tiny slots that can be adjusted to your preference: from fully open to fully closed. This should theoretically allow you to use the device for both DTL and MTL hits but I found it to be mainly a DTL device. With the airflow fully open you get some really great and tasty DTL hits. However, closing off the airflow really doesn’t make it very easy to MTL unless you restrict it nearly all the way. At this point, the vapor and mouthpiece get uncomfortably hot and it isn’t the most pleasant to vape on. Besides, I don’t think that the coil would last too long like this either. The mouthpiece on the Orion Q is removable but I would be very careful. Once you take it off it will sometimes come loose in your pocket and I would suggest not even trying to take it off. It’s on very tight to begin with and nothing else will fit in its place (it’s neither a 510 nor an 810). The battery on the Orion Q is quite large at 950mAh — larger than most pod systems on the market. Plus, because it fires at 17W I was getting above a full days of use out of the device, which is pretty good. I found that the battery lasted me quite long when in the red. It seemed like a lot more battery left than 17% but I won’t complain. Unfortunately, you can’t vape while you charge the device as there is no pass-through charging. Plugged into a USB wall charger the device took just over an hour to fully charge from dead. This is very quick and means that you’ll never be without your Orion Q for too long. Quick charge times are always a good thing. I tested the Orion Q’s 1.0ohm pods using multiple different ejuices, most of which were 80/20 or 50/50 VG/PG. I also tested with both regular nicotine ejuices and nicotine salt ejuices to get a good idea of this devices capabilities. After filling the pod for the first time, I let it sit for about 20 minutes to be sure that the massive wad of cotton had fully saturated. Once I started vaping with the Orion Q, it was a little slow to start. Because of the large amounts of cotton it took me until the second refill before I really started to taste the true flavors of my ejuice. But boy oh boy, once the flavor starts coming through it’s pretty incredible. You wouldn’t expect to get such good flavor out of a pod device, but it is a Lost Vape product after all. I was vaping this device with the airflow nearly fully open and getting great DTL hits that were really satisfying. The clouds are also pretty respectable for such a small device so it’s not the stealthiest for vaping under the table — you’ll have to save it for your vape breaks with this guy. At 1.0 ohms I found the Orion Q perfect for both regular nicotine ejuices or nicotine salts. It also handled both 80/20 and 50/50 VG/PG pretty much the same: no problems with vapor production or dry hits. It’s a really versatile device for all of the ejuices that you can vape with it and the flavor is better than most other pod vapes out there. The Orion Q is undoubtedly a good device. The only problem is the amount of cotton in the pods; the flavor taking a refill to break in can be a little frustrating. However, everything else about the device is wonderful. It’s super portable, delivers incredible flavor and has long lasting battery life. Regular nicotine or salt nicotine ejuices will work just the same and you can use varying VG/PG ratios without a problem. I highly recommend this device to anyone looking for solid DTL pod vape.